Thinking of an Accounting Career? Accountants plan and provide accounting systems and services relating to taxation and the financial dealings of organisations and individuals, and advise on associated record-keeping and compliance requirements. The links below provide quick access to basic information for accounting jobs. Greater detail can be found using any of the page tabs above. Source: *Job Outlook Government website ABS Labour Force Survey, Department of Jobs and Small Business trend data to May 2018 and Department of Jobs and Small Business projections to 2023. Employment for Accountants to 2023 is expected to grow strongly, showcasing great potential for future growth. 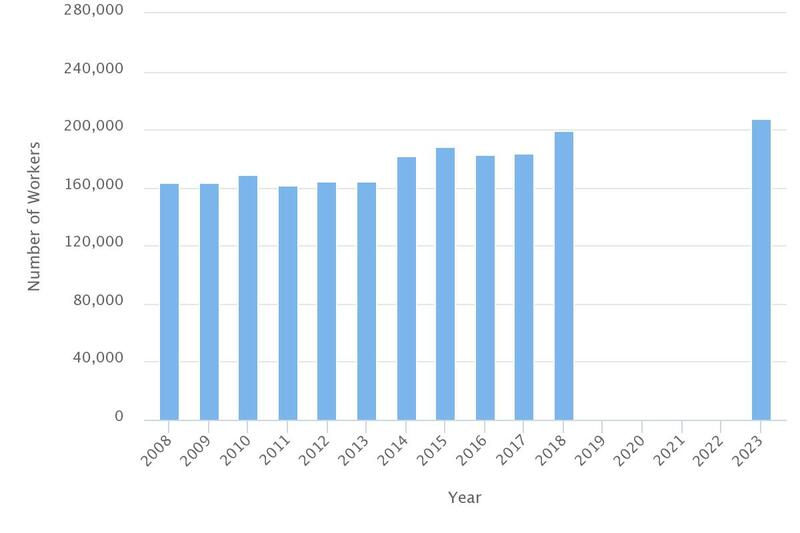 Employment in this very large occupation (199 200 in 2018) is expected to rise to a total sector size of 207,200 by 2023. This means there will be a total of 84,000 new job openings to take advantage of, which equates to 16,800 openings per year until 2023. Many of those employed in Accounting work in Professional, Scientific and Technical Services. Other popular industries include Financial and Insurance Services; and Public Administration and Safety. 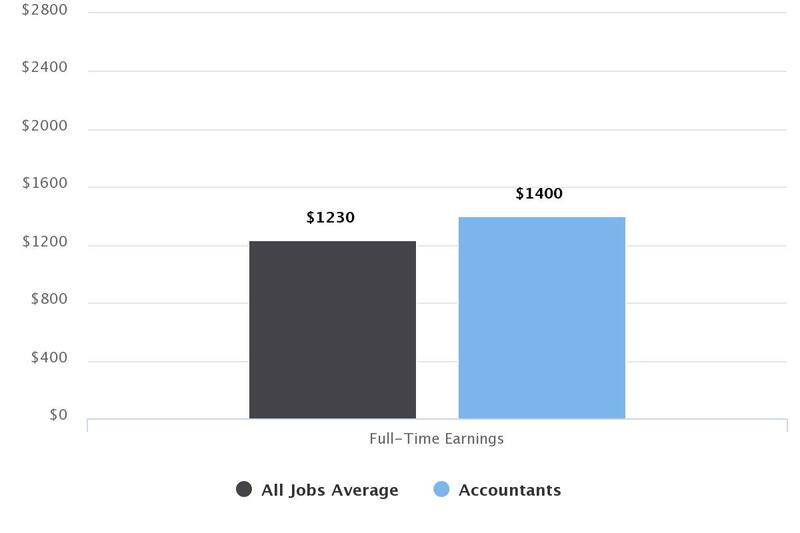 Compared to the average of all jobs in Australia, Accountants earn $170 more per week – or $680 monthly. Annually, this is equivalent to roughly $72,000 AUD. 81.5% of accountants work full-time, which is significantly higher than the all jobs average rate of 68.4%. This means that typically, accountants new to the field will expect to work fulltime throughout most of their career. Of those working fulltime, Accountants typically work 39.6 hours per week (just below the 40 hour fulltime average). 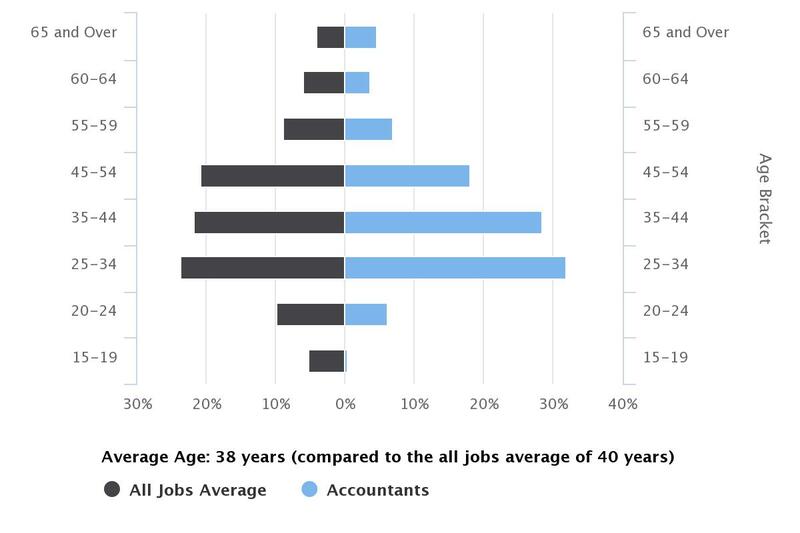 A vast majority of accountants fall into the age brackets of 25-34, 35-44 and 45-54. However, there is also a slightly higher level of activity in the 65 and Over category compared to the all jobs average, showcasing that Accountancy is a career that can be part of your life even over 65. Source: *Job Outlook Government website. ABS, Education and Work (2016). 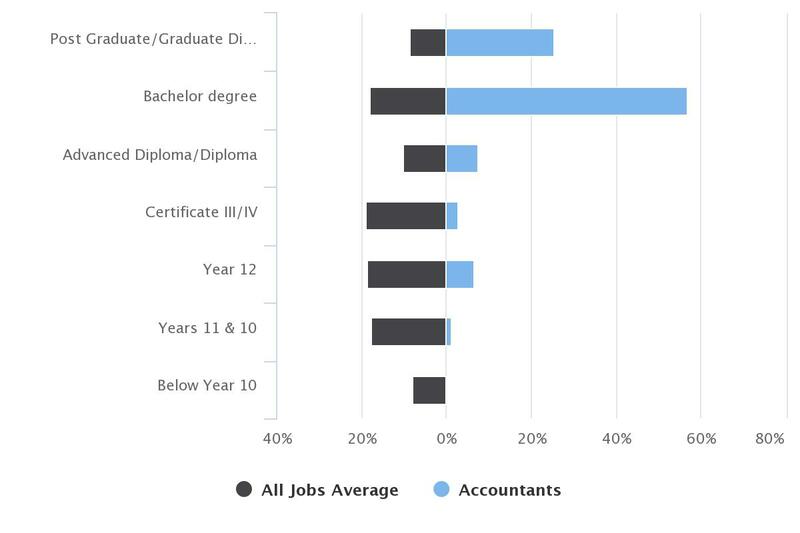 The standard level of education for Accountants is overwhelmingly weighted in favour of those holding a bachelor’s degree or above. What Accounting Qualification Do You Need? Study the fundamental skills of both accountancy and bookkeeping with this great combined Certificate IV qualification. You can use this course to progress into further education, or move into a role as a Bookkeeper. Upskill and become a BAS agent with this certification, which should ideally be combined with a Certificate IV in Accounting and Bookkeeping. Add another aspect to your financial career. Why Study Accounting through Open Colleges? Open Colleges’ accounting courses are delivered online, giving you the flexibility of organising your study around your life. You can enrol anytime of the year and study at your own pace. Among other things, you'll learn how to apply principles of professional accounting practice to work in the financial services industry and to design and produce business documents. You’ll also learn skills such as how to prepare financial reports, process financial transactions, extract interim reports, carry out business and instalment activity statement tasks, and to set up and operate a computerised accounting system. Your course includes comprehensive student support to help you throughout your study. Some of the diplomas and certificates allow you to graduate with a government-accredited, nationally recognised qualification that can boost your chances of employment. So Ian, what is an Accountant? An Accountant is a person responsible for preparing financial reports and ensuring that businesses meet their compliance obligations. Usually they also perform analysis and provide advice to the owners regarding financial matters. What does an Accountant do on a day to day basis? In an accounting practice we prepare financial reports and tax returns for a wide range of businesses. We also advise people who are starting businesses, by preparing budgets and advising them how to solve problems they encounter. Many Accountants in practice are also able to advise owners how to make their businesses more profitable. Talking with business owners about their businesses and helping them to make wise decisions. I also enjoy visiting clients at their premises and understanding how their businesses work. As well as this I have to say that I enjoy helping start-ups get going. What skills/attributes do potential Accountants need to have? A reflective and analytical mind helps. You also have to have the ability to engage clients at any level and the capacity to express yourself clearly. A capacity to work with numbers is important, as well as an interest in business. What’re your favourite things about being an Accountant? I enjoy helping clients to capture new business opportunities and learning about new areas such as eCommerce and social media. Thanks, Ian, for sharing your story with Open Colleges.